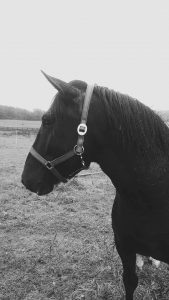 What is Horse Assisted Education? Horse Assisted Education is an innovative learning method in which people cooperate with horses. 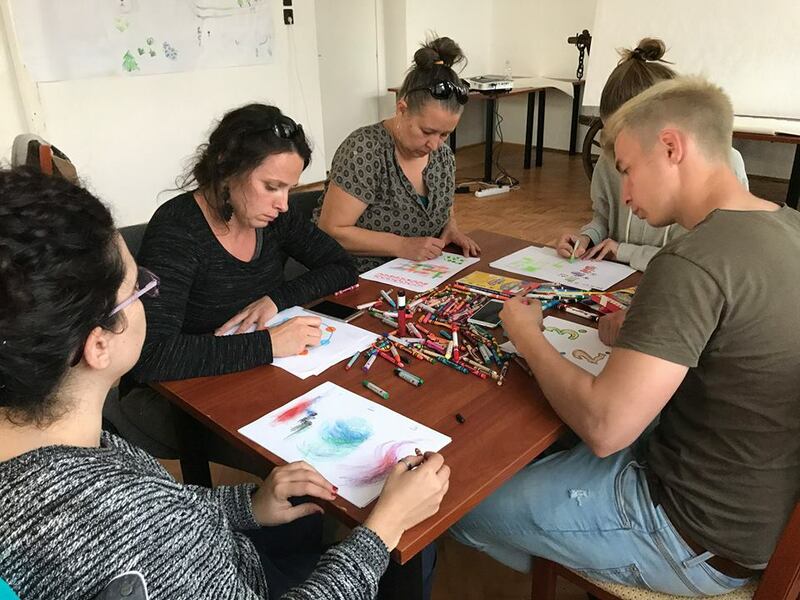 Its aim is to deepen individual development, self–awareness and emotional and social skills, as well as to help people to achieve the change they desire. At the heart of this method lies the relationship between a human being and a horse. It creates the space in which such a relationship can take place and enable us to experience ourselves through it. In this space we are given a unique chance to experience our inner world – sensations coming from our bodies, emotions, thoughts, patterns of interpreting what we feel and see. We find ourselves in a situation where we communicate with a creature belonging to another species, which gives us his attention and responds to our presence and actions in a natural, uninhibited way. The presence of horses creates a unique learning environment. In this space the subjective meets the objective, the internal meets the external, enabling us to observe how our thoughts and fantasies become facts and how we transform facts into fantasies. We are given an opportunity to learn through direct participation in a relationship. There are no signposts, old and tested methods or techniques. We take full responsibility for our every step, showing our courage and ability to make decisions. This learning process takes place there and then, is fully involving and touches us at many levels. The way a horse relates to us is absolutely authentic, which means we are experiencing a genuine relationship, genuine communication and genuine leadership. These qualities are what makes it different from traditional training methods based on role-plays. Workshops with horses, which lie at the heart of Horse Assisted Education training programs, offer us the opportunity to discover a multitude of ways in which we relate to others, experience genuine, multi-levelled leadership and enable us to see ourselves as active agents transforming the world around us. Facilitator is a leader of the entire process in charge of its quality, merits, safety, and well-being of horses and people. The basic task of a facilitator is to build and look after the horse-trainer team. The aspects that gives huge benefits in the team of trainers is the relation based on respect and trust which promotes independence, eliminates conditioning or obedience (we do not condition horses on the basis of comfort-discomfort or any other behavioural influence). The team of a facilitator and horses built this way is the key to quality and safety. Moreover, a facilitator is a leader – the person who leads horses and people through the entire process of learning and is responsible for the created space. Additional task of facilitators is facilitating the learning process by moderating, coaching, building atmosphere, mind maps. 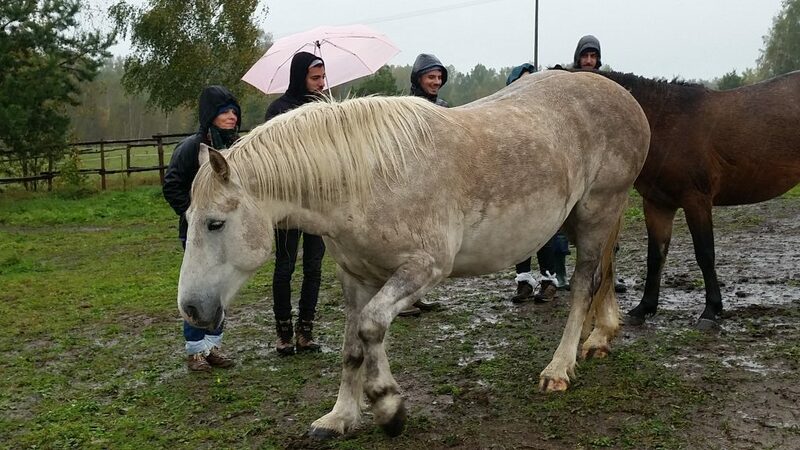 Horse as a trainer The crucial aspect of our workshop job is to adopt the rule that a horse is a trainer now and we are learning from them. 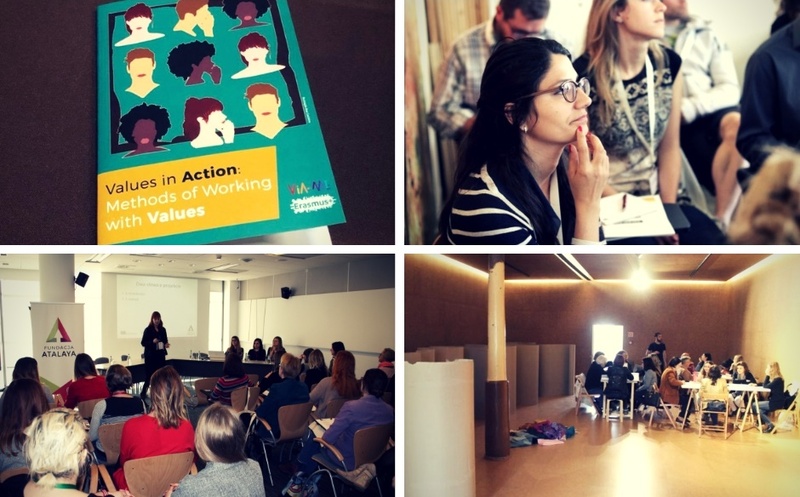 Facilitators are leader responsible for the course of workshops and their atmosphere, facilitating discussion after exercises, filming exercises and providing short theoretical information. We encourage you to experiment, observe, learn from others, and reflect about yourself. Facilitators do not interpret, nor diagnose behaviours or situations. Such approach gives new perspectives and opens up a new nonjudgmental learning sphere. It is also based on the fact that everyone, with one’s unique history, experience, personality, and standard of living, has different developmental needs. The horses we work with have a choice if they want to participate in such programmes. We build up relations with them which create safe and merit-based developmental space based on mutual respect and trust. We do not break in horses and expect them to obey; they can do what they want and what results from the relation. We do not create a “key” to horses – when you do this, a horse will do that. We base on their personality and who they are. Our workshops are not the way to dominate over horses or make them do something. Exercises during workshops are not aimed at going off well; being together is the fundamental matter here. 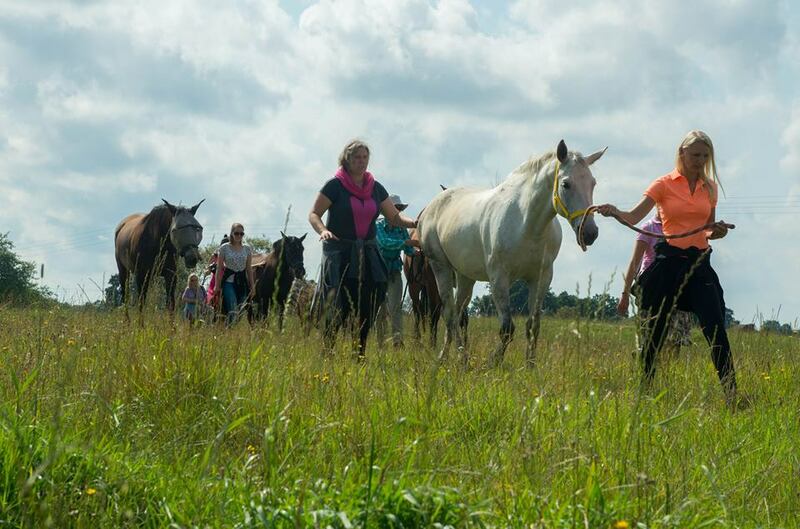 We believe that the obedience-based contact with horses makes people diverge from their authenticity.